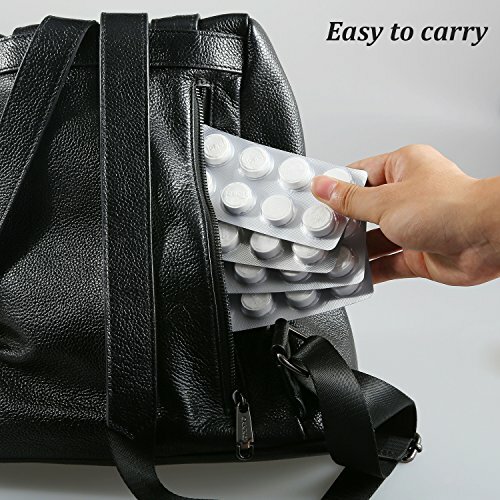 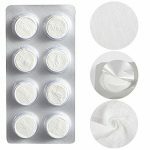 Portable packing compressed towels: Each package is wrapped like candy, easily carry and take up less space, can be placed in your purse or backpack, emergency medicine chest. 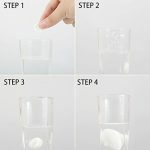 Easy to use: Just put into the cold or warm water for three seconds,will expand and become a small towel.Appearance like candy or pills, but not edible, please keep away from children. 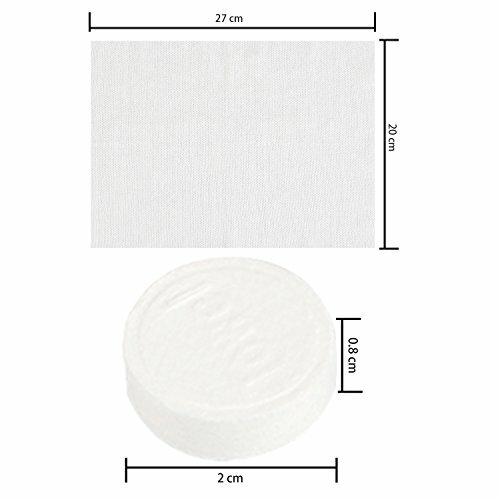 Towels expanded size: approx. 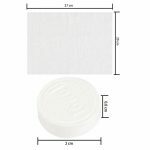 20 x 27 cm, and made of non-woven cotton linen, soft and extensible, it can contact the skin and give you a comfortable touch. 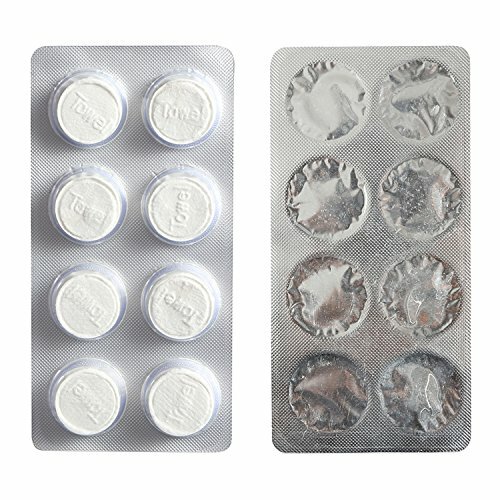 Appearance like candy or pills, but not edible, please keep away from children. 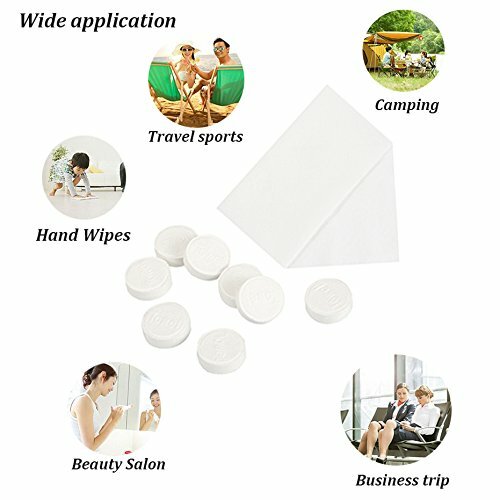 Mutipurpose compressed coin tissue: mini portable towels good for using in kitchen, office, hotel, camping or else, especially for business trip or travel sports. 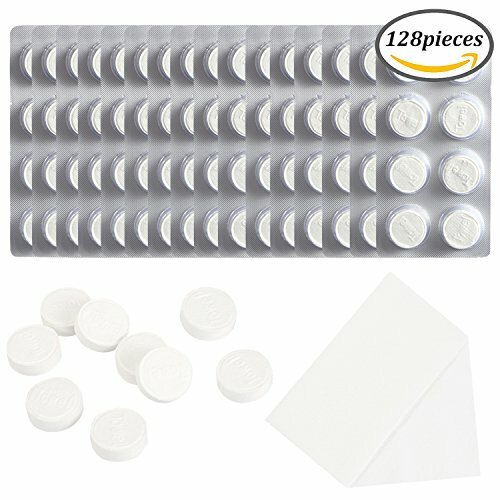 Package includes: 16 sheets mini compressed cotton coin towels, per sheet contain with 8 pieces, in total 128 pieces, enough for you to go out or home using.